This year Austria and Denmark have accommodated half as many refugees as in 2015. Moreover, the two countries seem to have made accepting as few asylum seekers as possible their goal, adopting some of the toughest laws on refugees in Europe and eliciting outrage from human rights organisations. By the end of September, 34,657 asylum applications had been filed with the Austrian authorities. Only 37,500 applications can be filed in total for this year – once this limit is exceeded, the Austrian government will declare a state of emergency and start turning back refugees at the border. Last year, the number was more than twice as high, with some 90,000 people applying for asylum in Austria1The Local, Almost 8,000 refugees left Austria in 2016, 13.10.2016, https://www.thelocal.at/20161013/almost-8000-refugees-left-austria-in-2016..
A similar situation occurred in Denmark: in the first eight months of 2016, only 4,969 asylum claims were filed; in 2015, there were 21,225 asylum seekers2Michala Clante Bendixen, How Many Are Coming, and From Where? 11.08.2016, http://refugees.dk/en/facts/numbers-and-statistics/how-many-are-coming-and-from-where/..
New, harsher laws and regulations for asylum seekers, adopted in Austria and Denmark in 2016, made it much harder for them to settle in the two welfare states. Legislative changes come on the heels of what is widely considered to be a refugee crisis in Europe, in the course of which millions of people displaced from the Middle East have sought asylum in EU countries. Human rights organisations have voiced their concern that by adopting such restrictive measures both countries are trying to keep asylum seekers at arm’s length. On 27 April, the Austrian parliament approved amendments to the asylum law that allowed authorities to turn almost all refugees away at the border if a state of emergency was declared. Under the ruling, the government can declare a state of emergency if the number of asylum seekers exceeds the 37,500 limit. In that case only those with immediate family in Austria or those who can prove they are in danger in neighbouring countries will be allowed to enter. All others – the vast majority of those who seek refuge – will be turned away on the assumption that they are able to apply for asylum in neighbouring countries. “We cannot shoulder the whole world’s burden,” Wolfgang Sobotka, the Interior Minister, was quoted by The Telegraph as saying3Justin Huggler, Austria passes emergency law allowing asylum-seekers to be turned away at the border, The Telegraph, 27.04.2016, http://www.telegraph.co.uk/news/2016/04/27/austria-passes-emergency-law-allowing-asylum-seekers-to-be-turne/.. He later announced that controversial emergency measures would most likely be enforced only for a few days this year, if at all4The Local, Almost 8,000 refugees left Austria in 2016, 13.10.2016, https://www.thelocal.at/20161013/almost-8000-refugees-left-austria-in-2016.. The legislation was quickly deemed dangerous and harmful by human rights organisations. According to Amnesty International, the amendments empower local law enforcement to detain and deport unwelcome asylum seekers, who are in general now going to be seen as a threat to national security. Not only are police allowed to prevent entry to the country and turn away people at the border, but they are also allowed to detain refugees who apply for asylum inside the country for 14 days instead of five. According to Gauri van Gulik, Amnesty International’s deputy director for Europe and Central Asia: “These amendments are a glaring attempt to keep people out of Austria and its asylum system.” Austria “would treat people fleeing conflict and persecution as a threat to national security, joining a growing list of countries undermining the very principle of protection from war and persecution”, she said in an online statement5Amnesty International, Austria: Parliament must overturn proposal to deny refugee protection to thousands, 27.04.2016, https://www.amnesty.org/en/latest/news/2016/04/austria-asylum-law-refugees/..
With almost 35,000 asylum claims already filed this year, increasingly less room is left for those who want to seek refuge in Austria. At the same time 7,826 refugees have already left the country: 4,515 of them went voluntarily, while 3,311 were deported. Danish authorities pushed different buttons – financial and family ones. 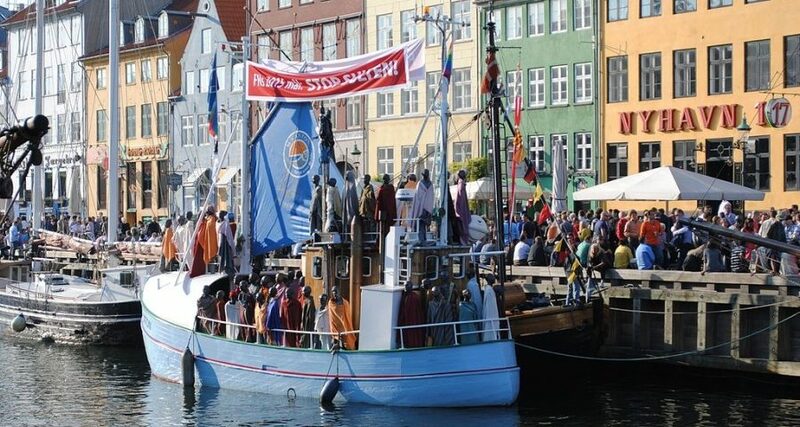 On 26 January 2016, the Danish Parliament passed an immigration bill allowing authorities to confiscate cash and assets “of considerable value” from refugees. Doing so, the authors of the bill explained, would help pay for refugees’ stay in the country while they are in the process of applying for asylum6Website of the European Parliament, Civil Liberties Committee debates Danish law on asylum and refugees: http://www.europarl.europa.eu/news/en/news-room/20160125IPR11334/civil-liberties-committee-debates-danish-law-on-asylum-and-refugees.. In written comments to The Washington Post in December 2015, the Danish government stated that “the new rule on seizure will only apply to assets of considerable value. Thus, foreigners will always be able to keep assets which are necessary to maintain a modest standard of living, e.g. watches and mobile phones.”7Rick Noack, Denmark passes controversial bill to seize assets and valuables from refugees, The Washington Post, 26.01.2016, https://www.washingtonpost.com/news/worldviews/wp/2016/01/26/denmark-passes-controversial-bill-to-seize-assets-and-valuables-from-refugees/?tid=a_inl. “Considerable value”, according to a BBC report8BBC News, Denmark approves controversial migrant assets bill, 26.01.2016, http://www.bbc.com/news/world-europe-35406436?ns_mchannel=social&ns_campaign=bbc_breaking&ns_source=twitter&ns_linkname=news_central., meant assets and cash worth more than 10,000 Danish krone (1,340 euros). The government maintained the new policy brought refugees in line with unemployed Danes, who also face having to sell assets above a certain level to claim benefits, the report said . The controversial legislation was immediately criticised. “People who have suffered tremendously, who have escaped war and conflict, who’ve literally walked hundreds of kilometers if not more and put their lives at risk by crossing the Mediterranean should be treated with compassion and respect, and within their full rights as refugees,” Stephane Dujarric, spokesman for the UN Secretary General Ban Ki-moon, was quoted by the BBC as saying. Another measure from the bill that elicited a lot of criticism was making war refugees wait three years before being eligible to apply for family reunification. In addition, the government introduced fees for family reunification applications (7,000 Danish krone, or 900 euro per application). “It’s simply cruel to force people who are running from conflicts to make an impossible choice: either bring children and other loved ones on dangerous, even lethal journeys, or leave them behind and face a prolonged separation while family members continue to suffer the horrors of war,” Amnesty International’s van Gulik commented on the organisation’s website9Amnesty International, Denmark: Parliament should reject cruel and regressive changes to refugee law, 21.01.2016, https://www.amnesty.org/en/latest/news/2016/01/danish-parliament-should-reject-changes-to-refugee-law/.. According to The Nation magazine, Denmark has become increasingly tough on non-EU immigrants over the past 20 years. The government has passed legislation that made it harder for them to qualify for residency rights and more difficult to bring over family members, as well as restricting their access to social benefits. “We have been a very homogeneous society for many years,” Bjarke Møller of the Copenhagen-based Think Tank Europa explained to the magazine. “The cultural component” of mass migration is “explosive,” he added. “It feeds into the question of the unity of the state and religion. The Protestant nation-state is having trouble handling other religions.”10Sasha Abramsky, If Sweden and Denmark Are So Progressive, Why Did They Close Their Doors to Refugees? The Nation magazine, 17.10.2016, https://www.thenation.com/article/if-sweden-and-denmark-are-so-progressive-why-did-they-close-their-doors-to-refugees/. 1, 4. ↑ The Local, Almost 8,000 refugees left Austria in 2016, 13.10.2016, https://www.thelocal.at/20161013/almost-8000-refugees-left-austria-in-2016. 2. ↑ Michala Clante Bendixen, How Many Are Coming, and From Where? 11.08.2016, http://refugees.dk/en/facts/numbers-and-statistics/how-many-are-coming-and-from-where/. 3. ↑ Justin Huggler, Austria passes emergency law allowing asylum-seekers to be turned away at the border, The Telegraph, 27.04.2016, http://www.telegraph.co.uk/news/2016/04/27/austria-passes-emergency-law-allowing-asylum-seekers-to-be-turne/. 5. ↑ Amnesty International, Austria: Parliament must overturn proposal to deny refugee protection to thousands, 27.04.2016, https://www.amnesty.org/en/latest/news/2016/04/austria-asylum-law-refugees/. 6. ↑ Website of the European Parliament, Civil Liberties Committee debates Danish law on asylum and refugees: http://www.europarl.europa.eu/news/en/news-room/20160125IPR11334/civil-liberties-committee-debates-danish-law-on-asylum-and-refugees. 7. ↑ Rick Noack, Denmark passes controversial bill to seize assets and valuables from refugees, The Washington Post, 26.01.2016, https://www.washingtonpost.com/news/worldviews/wp/2016/01/26/denmark-passes-controversial-bill-to-seize-assets-and-valuables-from-refugees/?tid=a_inl. 8. ↑ BBC News, Denmark approves controversial migrant assets bill, 26.01.2016, http://www.bbc.com/news/world-europe-35406436?ns_mchannel=social&ns_campaign=bbc_breaking&ns_source=twitter&ns_linkname=news_central. 9. ↑ Amnesty International, Denmark: Parliament should reject cruel and regressive changes to refugee law, 21.01.2016, https://www.amnesty.org/en/latest/news/2016/01/danish-parliament-should-reject-changes-to-refugee-law/. 10. ↑ Sasha Abramsky, If Sweden and Denmark Are So Progressive, Why Did They Close Their Doors to Refugees? The Nation magazine, 17.10.2016, https://www.thenation.com/article/if-sweden-and-denmark-are-so-progressive-why-did-they-close-their-doors-to-refugees/.